This entry was tagged General, Time management, Work life balance, Working time. Bookmark the permalink. 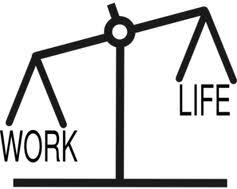 This is a great question to consider for our own work-life balance! I know I’m often available for my clients late into the evening and answer emails on the weekends. However during the “normal” workday I also find time to do personal things that are non-work related. I guess as an entrepreneur I just don’t fit the normal 9-5 schedule.